Arthritis occurs in almost one in every five adults. While many people associate arthritis with aging, the reality is that half of the people it affects are under age 65. 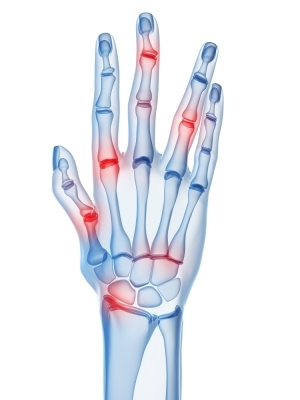 Arthritis can be described as inflammation of the joints. When the cartilage in the joints that normally keeps joints moving properly gets inflamed the condition is called arthritis. It causes painful, swollen joints that make it difficult for a person to move. Arthritis results in difficulty of movement. It is the leading cause of disability other than heart disease, and can limit activities like bathing, walking and getting in and out of seats. Arthritis can be debilitating, but when simple movements like getting in and out of chairs becomes painful and difficult, it can affect a person’s overall emotional quality of life. They can feel as if their world is limited when they lose basic functions due to the condition. Arthritis can affect any joint in the body. People often suffer from arthritic knees and ankles which can become swollen and make walking difficult. The problems in the knees affects how a person supports their entire body, which can make standing from a seated position difficult. If the joints stiffen, changing from a standing to a sitting position can also cause pain and become difficult. When elbow and wrist joints are affected it can cause difficulties supporting the body as a person tries to stand or sit. Finger joints that are bothered by arthritis can make grasping handles or the arms of a chair difficult. Lift chairs can make a difference in the quality of life for many people. The muscles used in sitting down are not just related to strong legs. Back and stomach muscles, which are considered the core muscles, are also engaged, as well as arm muscles if they are used to help support a person when rising or sitting. 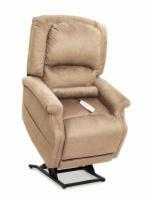 All lift chairs are motorized to gently assist a person when getting out of or into a chair. The chair works in conjunction with the person getting up by slowly rising from the back of the chair, tilting to support a person as they are getting into a standing position. This takes the pressure off of the body’s muscles until the person is able to fully support themselves in a standing position. 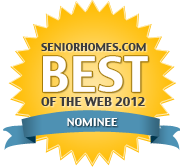 This gentle assist enables a person to be engaged in living a life without restrictions. We offer lift chairs in a multitude of sizes to fit the body more comfortably, as well as different positions to assist the person while standing or sitting. Our lift chairs are very popular with people who have arthritic conditions as they do not have to put pressure on painful joints when getting up from a sitting position. The freedom that lift chairs give arthritis suffers can make a difference in their lives as they are able to become more mobile and independent. Check out the two lift chairs that have received the highest ratings from our customers who suffer from arthritis: the Pride LL-770L and the Golden Relaxer PR-756. Then, call a lift chair expert today at 1 (800) 285-2584 to see if one of them is right for you!